The Nellor Law Office provides legal services to debtors, committees and creditors in bankeruptcy cases and proceedings. Bankruptcy is a federal law that provides relief from debt. That relief can be as simple as short term protection from aggressive creditors by stopping collection activity and lawsuits, to unwinding foreclosures and repossessions. Bankruptcy can be used to change relationships between debtors and creditors. Debtors can recover garnished wages, re–write contracts to reduce monthly payments, and even cure a default in house payments. The scope of what bankruptcy law affects, and what it can do, is very broad. What follows is a summary not an instruction manual. The goal is to provide basic information about bankruptcy cases and proceedings; We are not trying to tell you how to do a bankruptcy. Nor is this a bankruptcy encyclopedia; We are not trying to provide for every conceivable bankruptcy nuance or factual situation. Bankruptcy is complicated. It is impossible, within the reasonable size limitations of this website, to analyze or address every potential complication for every possible situation that might arise in a bankruptcy case. The information that follows is accurate but it is also general. Feel free to rely on it only for the general information it contains. Please do not rely on it alone, however, as the solution or the authority for a specific problem or issue. Many people who think they need to file bankruptcy do not need to or should not do so. Many people believe they need to file a particular kind of bankruptcy or do not know there are several different kinds of relief available that we call bankruptcy. Whether you should file bankruptcy involves a careful study of your entire situation. There are no shortcuts to this process. There is no such thing as a simple bankruptcy. We can not create a standardized punch list, or formula, that will define when to file bankruptcy. Bankruptcy is nothing more than a remedy— it is a tool you may use to solve a problem. It is often not the only tool available. And, bankruptcy has several different tools that work for different situations. This means you have options. Each option will, invariably, have strong points and risks. You need to know the strengths and risks of each option before you choose a bankruptcy remedy. An individual does not have to be represented by an attorney in any bankruptcy case or proceeding. Corporations or partnerships generally must be represented by an attorney in bankruptcy court. Bankruptcy has a significant impact on a person&apos;s property, income, and financial affairs. If you are considering bankruptcy, or if you are concerned about a financial situation, we strongly urge you to seek the advice of an attorney before you file a bankruptcy petition on your own. Advice from friends, relatives, and (particularly) creditors about what happens in bankruptcy is rarely accurate. It is not their fault, it is just that friends, relatives, and creditors are looking at bankruptcy from a very narrow perspective, their own experiences, emotions, or interests. We have seen many bankruptcy cases that should not have been filed and we know that many people file bankruptcy without ever knowing that there are (or may be) alternatives. Undoing a bankruptcy, or a mess resulting from a bankruptcy that should not have been filed, can be an expensive, difficult, and time consuming project. We have heard comments like these many times. Usually we hear them based on a guess. You need to know whether a lawyer costs too much or whether having an attorney help you with a bankruptcy is worth the cost based on your actual knowledge, not on a guess. How do you know what it costs until you find out? Please do not guess, ask. There is no single, fixed, market price for bankruptcy cases. No two bankruptcies are alike. Different attorneys have different methods of figuring out what needs to be done. No single method is right or wrong. The amount attorneys charge can vary greatly depending on the nature and extent of a person&apos;s assets and income, the extent of the relief needed, the attitude and aggressiveness of creditors, and the kind of debt that needs to be treated. If you shop around you will find that some attorneys quote fees at flat rates and others will charge based on the number of hours their services take. Some lawyers will give you an estimate of the expected fees after a basic analysis of the work that needs to be done. Some attorneys require retainers, some do not. Some take payments for their fees over time, in installments, some require everything be paid in advance. All attorneys are entitled to fix the amount and manner they expect to be compensated for their services. You are always, however, entitled to know how you will be charged and what you can expect to pay. If you do not get answers to your questions about fees, move on to someone else. That being said, all attorney fees in bankruptcy cases are subject to review by the bankruptcy court. Attorneys must file disclosures with the court that describe the amount and basis for fees charged. In some situations, the bankruptcy court sets the amount of fees an attorney will be paid. Bankruptcy law is codified in Title 11 of the United States Code— the “Bankruptcy Code.” It was enacted in 1978 and first became effective on October 1, 1979. The Bankruptcy Code is a total rewrite of, and replaced, the “Bankruptcy Act,” which was originally enacted in 1898. There were other bankruptcy laws in the United States before 1898 and there were times (before 1898) during which there was no bankruptcy law at all. The Bankruptcy Code has undergone several amendments since 1979. Case law from court decisions interpreting the Bankruptcy Code continues to develop— courts have interpreted parts of the Bankruptcy Code, but there are many pieces of bankruptcy law that have escaped interpretation. Bankruptcy law is also complicated because it is considered a “procedural law.” Despite the fact that bankruptcy law is based on written statutes the actual interpretation of what those statutes mean can differ from state to state. Bankruptcy law relies on each state&apos;s laws to define such things as property rights, liens, marital rights, and other substantive matters. The Bankruptcy Code is divided into nine chapters. Chapters 1, 3, and 5 of the Code apply to all bankruptcy cases and proceedings. Chapters 7, 9, 11, 12, 13 and 15 contain laws that apply only to cases, or to proceedings in cases, commenced under that chapter (in other words, chapter 7 applies to chapter 7 cases and so on). Chapters 7, 9, 11, 12, and 13 provide five different kinds of relief. Chapters 7 or 11 are available for almost anyone who is a United States resident or who has a domicile, a place of busness, or property, located in the United States. Chapter 9 is available only to municipal corporations. Chapter 12 is available only to family farmers or family fishermen. Chapter 13 is available to individuals who owe earn “regular income” and whose secured and unsecured debt load does not exceed certain amounts (which are periodically adjusted). There is also a Chapter 15, which applies to ancillary and cross–border insolvency cases and proceedings (and of which nothing further will be stated herein). Chapter 7 is commonly known as “straight” bankruptcy. It is what most people think of when they here the term Bankruptcy. A chapter 7 case is a liquidation process: A person who files for chapter 7 relief (a “debtor”) surrenders his or her non–exempt property to a trustee. The trustee sells that property and distributes cash from the sales to creditors. If there is not enough money to pay everyone in full, creditors share distributions from the trustee pro rata. If there is no property for the trustee to sell no distribution is made to creditors. A chapter 7 trustee does not sell all of a person&apos;s property. Some assets are exempt from the trustee and creditors. If property is exempt, the debtor gets to keep it notwithstanding the chapter 7 bankruptcy case. The kind, and amount, of property that is exempt varies by state. An individual chapter 7 debtor normally receives a “discharge” of his or her debts even if there is no distribution to creditors. If a debt is discharged the debtor is no longer legally obligated to pay it. The discharge is an injunction against a creditor that prohibits any attempt to collect a discharged debt in the future. In some circumstances a debt may not be discharged. If a debt is not discharged the debtor remains legally obligated to pay it. Some debts are automatically excepted from discharge. Other debts may be excepted from discharge only on the order of the bankruptcy court. In situations of fraud or similar misconduct, the bankruptcy court can deny a debtor a discharge from all debts. Chapter 13 is a rehabilitation process; Chapter 13 debtors do not, typically, sell their property to repay creditors. Instead, creditors are “treated” according to a court approved plan. Debtors typically make periodic installment payments to a trustee who then distributes those payments to creditors according to the plan, usually over a term of between 36 and 60 months. All debts can be adjusted or modified by a chapter 13 plan, but some debts, such as a debt secured only by a lien on the debtor&apos;s principal residence and some purchase money security interests in motor vehicles, are more difficult to modify. A chapter 13 plan is commonly either an “extension” or a “composition”: An extension plan simply extends the time a person normally has to pay current debt. A composition plan extends the time to repay debt and reduces or eliminates the amount of debt that is repaid. A debtor must pledge all of his or her disposable income to a trustee for a “commitment period” in order to have a composition plan approved. The applicable commitment period is calculated based on a person&apos;s income in relation to the median income in the state in which the debtor resides. All creditors are bound by a “confirmed” chapter 13 plan (even if they object) and are prohibited from taking any action to enforce or collect debts while the plan is in effect. A Chapter 13 plan will be confirmed if it was proposed in good faith, is “fair and equitable”, and if it provides that each unsecured creditor will receive at least what they would receive if the debtor was liquidated in a chapter 7 case. A chapter 13 debtor normally receives a “discharge” after the plan is performed, even if the creditors have not been repaid. The dischargeg prohibits creditors from collecting debts in the futre. The only exceptions to the discharge include alimony, support, restitution, judgments for injuries sustained while driving under the influence of alcohol, and some student loans. Chapter 13 cases are very flexible. They can be modified. They can be converted to a chapter 7 case and they can be dismissed on the debtor&apos;s request. If a chapter 13 case is dismissed, creditors can attempt to collect their debts as if the case had not been filed (with appropriate credit for what the creditor received during the case). If a chapter 13 case is converted to chapter 7, then chapter 7 rules and laws apply to the entire case. A “hardship discharge” is available if a debtor can not perform the plan due to circumstances beyond the debtor&apos;s control, the plan cannot be modified to work, and the trustee has distributed at least what would have been distributed in a chapter 7 case. A chapter 13 hardship discharge is the same kind of discharge a chapter 7 debtor receives and the same exceptions apply. Despite urban legend to the contrary, it is possible to file a chapter 13 case after a chapter 7 case was filed and it is possible to file successive chapter 13 cases. A Chapter 11 case, commonly called a “reorganization,” is rehabilitation process. Chapter 11 cases most closely resemble chapter 13 cases but usually involve more complex methods of rehabilitation than are available in chapter 13. A common purpose of chapter 11 is to preserve the “going concern value” of a debtor as opposed to the liquidation value of a debtor&apos;s assets. Chapter 11 operates under a concept that property brings a higher price or can generate a higher return to creditors and the debtor if it is generating income or if it can be held until a fair market price can be obtained from an orderly sale. Chapter 11 debtors reorganize under a plan. The debtor usually creates the plan (and has the exclusive right to do so for a period of time after the chapter 11 case is filed), but almost any party in interest is enttled to submit a plan. A chapter 11 plan can use almost any method to “treat” debt. A chapter 11 plan is binding on creditors and the debtor once it is “confirmed” by the bankruptcy court. Creditors must accept the plan or it must be “fair and equitable,” and feasible to be confirmed. The Bankruptcy Code requires that chapter 11 creditors receive a “disclosure statement” that contains adequate information about the debtor and the plan before creditors may approve or reject it. The disclosure statement must (in most situations) be approved by the court before it is given to creditors and before a debtor may solicit any acceptance of a plan. Creditors accept or reject a plan by voting on it. Voting is done both individually and by classes of claims. Claims are classified by the plan and are paid at different times, in different amounts, and under different terms. Any classification scheme is acceptable so long as all members of a class are similar. Only creditors that have “impaired” claims vote on a plan. A claim is impaired if the plan alters payment terms, does not cure any default that exists, or does not pay the fair market value of the creditor&apos;s claim. An impaired class of claims accepts the plan only if the holders of at least 2/3 in amount and more than 1/2 in number of the allowed claims in that class vote to accept the plan. A chapter 11 plan must comply with what is called the “absolute priority rule” to be confirmed if any class of creditors votes to reject the plan. In general, bankruptcy law recognizes a ranking system for that prioritizes debts. The absolute priority rule requires that higher ranking claims be paid in full before any payment may be made to junior ranking claims. If there is not enough money to pay all claims of the same rank, they all share what is what is available pro rata, and junior ranking claims or interests receive nothing on account of the plan. The bankruptcy court will not automatically confirm a chapter 11 plan even if all classes of claims accept a plan. The plan must still be in the “best interest of creditors”, so that individual creditors within a class of claims or interests are protected. This means a non–consenting creditor may not be paid less under the plan than it would receive if the debtor was liquidated under chapter 7. Chapter 12 is commonly known as a family farm bankruptcy, although it also applies to a family fisherman business. It is a rehabilitation process similar to chapters 13 and 11, but was created because neither chapter 11 nor chapter 13 provided acceptable relief for the unique financial situations of a family farm or a family firherman. A person who files a chapter 12 case does not, typically, liquidate assets to repay creditors. Instead, the debtor submits a plan to repay debts. All debts can be adjusted or modified by a chapter 12 plan. However, the main reason to file a chapter 12 case, as opposed to chapter 13 or 11, is the treatment permitted for mortgages on farm land or security inerests in assets necessary for a family firherman to engage in business. All creditors are bound by a chapter 12 plan once it is confirmed and are prohibited from taking any action against the debtor or the debtor&apos;s property to enforce or collect a debt while the plan is in effect. A plan will be confirmed if it was proposed in good faith, is fair, and if each unsecured creditor will receive at least what that creditor would receive if the debtor filed a chapter 7 case. Creditors do not get to vote on a chapter 12 plan. A chapter 12 debtor receives a discharge after the plan is performed. The discharge affects all debts that are provided for in the plan. The only exceptions to a chapter 12 discharge are alimony and support obligations, certain restitution obligations and, long term debts expire after the plan is terminated. Bankruptcy cases are either voluntary or involuntary. A voluntary “case” is started by filing a petition for relief with the bankruptcy court. A person (or entity) who files a bankruptcy “petition for relief” is called a debtor. Virtually any person or entity can file a voluntary bankruptcy petition at any time. An involuntary case can be filed only under chapter 7 or 11. There is no such thing as an involuntary chapter 13 or an involuntary chapter 12. An involuntary case is started by three or more creditors filing a complaint with the bankruptcy court clerk and serving a summons with the complaint on the alleged debtor. The court holds a hearing and will enter an order for relief if the debtor is found to be insolvent. A bankruptcy debtor must also file schedules of assets and debts, statements of financial affairs, and lists of executory contracts and unexpired leases. The statements, lists, and schedules, are normally filed with the petition. All statements, lists, schedules, petitions, and other documents filed with the bankruptcy court must either be sworn or certified. There are two things that immediately happen in all cases when the petition for relief is filed: An estate is created, and; An automatic stay is imposed. It prohibits any act to commence or continue collection or enforcement of virtually any debt, liability, or claim against a debtor, or against property of the estate. It even protects against enforcement or collection of debts that are, or are presumed to be, non–dischargeable. The stay takes effect (in most cases) immediately when the petition is filed, whether or not anyone has actual notice or knowledge that a bankruptcy case started. This means that anything a creditor does to a debtor, to a debtor&apos;s property, or to the estate, to enforce or collect a debt after the case is started is void. A willful violation of the automatic stay can result in an award of actual damages, punitive damages, attorney fees and costs to the debtor against the person that violates it. The automatic stay remains in effect until the case is closed or dismissed, or until the debtor receives a discharge— there are actually two automatic stays, one protecting property of the estate and one protecting the debtor. The two stays can terminate at different times. The automatic stay can be modified, conditioned, or removed for cause. Examples of cause include continuing depreciation of secured property, diminution in value, or misconduct affecting collateral for a debt. There are also a few exceptions to the automatic stay: The commencement or continuation of criminal proceedings, collection of alimony or support from property that is not property of the estate, perfection of certain security interests, and certain police and regulatory actions, for example. As noted above, the automatic stay protects not only the debtor but property of the estate. The “estate” is an important bankruptcy concept. It is created immediately when the petition for relief is filed. It consists of all of a debtor&apos;s “interests in property.” In a chapter 12 or chapter 13 case, the estate also includes the debtor&apos;s future acquisitions and earnings. It is important to note that an estate consists of, and the automatic stay protects, “interests in property” and not just “property interests.” This is a subtle but important distinction. The estate is made up of, and the automatic stay protects, almost everything the debtor owns, possesses, claims, or expects. The estate is administered by either a trustee or by a debtor in possession. Trustees are automatically appointed in chapter 7, 12 and 13 cases. A trustee is the representative of the estate. In a chapter 7 case, an interim trustee is appointed by the United States Trustee after a case is filed. A standing trustee is typically appointed to serve in all chapter 12 and chapter 13 cases filed within specific geographic areas. Note that in a chapter 7 case only an interim trustee is appointed. Creditors of a chapter 7 debtor may elect a trustee. That election must occur at the first meeting of creditors (the 341 hearing). If no trustee is elected, the interim trustee becomes the trustee. A trustee is normally not appointed in a chapter 11 case. Instead, the debtor assumes the duties and functions of a trustee under the title of “debtor in possession.” A trustee can be appointed by the bankruptcy court in a chapter 11 case for cause or if it is in the best interests of the creditors. A trustee, and a debtor in possession, have many powers to accomplish the simple task of marshaling and distributing the estate. The most common powers include avoiding transfers and conveyances, avoidance of unperfected liens, and the power to use, sell or lease estate property. A trustee may operate a debtor&apos;s business, and may use, sell, or lease both property of the estate and property in which the estate and another person hold an interest. If the trustee intends to use, sell, or lease estate property outside the ordinary course of business, he or she must obtain bankruptcy court permission. When a trustee sells estate property, that sale is normally free and clear of liens. Any liens affecting the property attach to the proceeds of the sale so that secured claims are protected. Junior liens on property that does not have sufficient value to satisfy all lien claims are extinguished to the extent they are not paid. A trustee becomes a hypothetical lien creditor who is perfected on the date the petition for relief is filed. This means that the trustee has a superior priority to any lien affecting the debtor&apos;s property which is not perfected. If the trustee voids a lien, the creditor&apos;s claim becomes a general unsecured claim and the trustee may sell the asset without having to first pay the lien. A preference is a transfer of an interest in property that is made to or for the benefit of a creditor, for or on account of an antecedent debt, while the debtor is insolvent. A trustee may avoid a preference that is made within ninety days of the petition for relief (or made within one year if the creditor is an insider). There are numerous exceptions to preference recovery. Any payment to that is a contemporaneous exchange for new value, that is in payment of a debt made in the ordinary course of business, that perfects a lien within ten days after the debtor takes possession of the collateral, or that satisfies consumer debts in an aggregate of $600.00 or less, is not a preference. Bankruptcy law presumes a debtor is insolvent during the ninety days immediately preceding the bankruptcy petition. 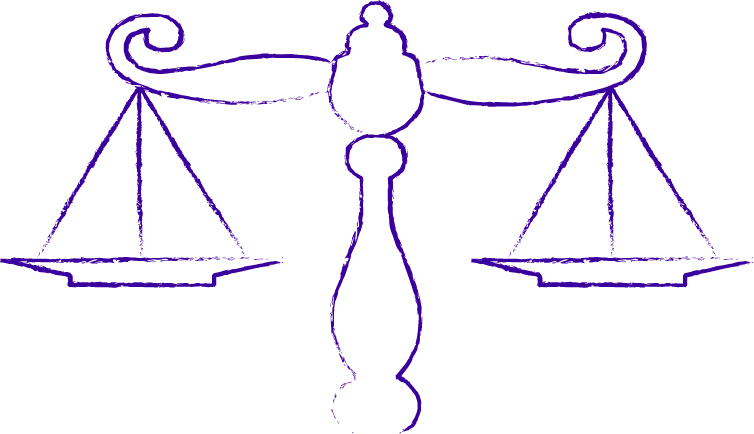 The purpose of preference law is to equalize all similarly situated creditors. Preference recovery rolls back the clock so that all creditors share in equally rather than allowing only aggressive collectors to be paid. A fraudulent conveyance is a transfer of any interest in property, or any obligation incurred by a debtor either With the actual intent to hinder, delay or defraud any creditor, or for less than a fair value while the debtor was insolvent (or the debtor became insolvent because of the transfer). A trustee may void any fraudulent transfer that was made within one year after the date the petition for relief was filed. Bankruptcy cases are supervised by the office of the United States Trustee. There are twenty one United States Trustees, each appointed by the Attorney General for each of twenty–one separate regions throughout the United States. A United States Trustee serves a five year term and retains his or her office until a successor is appointed. The main functions of the United States Trustees are to “establish, maintain and supervise a panel of private trustees,” to “supervise the administration of cases and trustees,” and to appoint standing trustees for chapter 12 and 13 cases. In addition, the United States Trustee monitors cases, applications for the payment of fees, creditor committees and plans, and reports bankruptcy crimes. Do not confuse the United States Trustee with a trustee in an individual bankruptcy case. Trustees are supervised by the United States Trustee. Trustees administer estates. The United States Trustee administers cases. Where do the bankruptcy courts fit in? Bankruptcy courts are a part of the United States District Courts. Each District Court “may” refer any or all cases or proceedings to their respective bankruptcy judges. Bankruptcy judges are appointed to serve fourteen year terms by the United States Court Of Appeals for each judicial district throughout the United States. Bankruptcy judges hear and determine all bankruptcy cases and all core proceedings that are referred by the District Court. Bankruptcy judges can decide whether a matter before them is a core proceeding and may hear and issue advisory opinions to the District Court in a non–core proceeding. Venue in bankruptcy involves consideration of two distinct situations: Venue of a bankruptcy case, and; Venue of bankruptcy proceedings. A bankruptcy case must be commenced in the federal judicial district in which the debtor resides or where the debtor&apos;s domicile, principal assets or principal place of business is located during the greater period of 180 days prior to the petition date. A case may also be commenced in any judicial district in which a debtor›s affiliate, partner or partnership has another bankruptcy case pending. A trustee may not commence a proceeding to recover property, or a money judgment on property, with a value of less than $1,000.00, or on a consumer debt with a value of less than $5,000.00, in any judicial district other than where the defendant resides. A trustee may commence proceedings relating to matters that arise after the petition date only in the judicial district in which the proceeding could have been commenced had no bankruptcy case been filed. Actions by a debtor to enjoin the commencement or continuation of a state or federal action or proceeding may be brought only in the judicial district where the state or federal court hearing the action or proceeding to be enjoined sits. Actions to enjoin the enforcement of a lien must be brought in the judicial district where the property subject to the lien is located. The entire bankruptcy system is driven by notice. All parties involved in a bankruptcy case receive notices about the filing of a case, meetings of creditors, sales of property, the compromise of controversies, and the date to file claims and object to discharge. Creditors receive notices because they are identified as creditors on the lists filed with the petition. If a creditor is not identified on the schedules it can still get notices by filing a request for notice with the clerk of the bankruptcy court. Creditors that are not listed in a debtor&apos;s schedules may have their debts excepted from discharge. The mere failure to list a creditor will not except the debt from discharge if the creditor knows about the bankruptcy case. In addition, if a bankruptcy case is a no asset case, a debt will be discharged even if a creditor does not receive notice. Further, debtor&apos;s may permitted to re–open bankruptcy cases to add unlisted creditors where there is no prejudice to the creditor. A claim is any right to payment, whether reduced to judgment, fixed or contingent, liquidated or unliquidated, matured or un–matured, disputed or undisputed, legal or equitable, or secured or unsecured. A claim is also any right to an equitable remedy for breach of performance if the breach gives rise to payment, whether or not reduced to judgment, disputed or undisputed, fixed or contingent, matured or unmatured, or secured or unsecured. Not all claims are paid in a bankruptcy case. Many cases have no assets that will result in any payment to creditors or the prority of a claim may be too low to be paid. All creditors must, however, have a claim allowed to be entitled to any payment, at all. A claim will be allowed only if a proof of claim is filed with the bankruptcy court, and if the claim is enforceable against the debtor. Unliquidated, contingent, and unmatured claims can be allowed, but the allowed amount of the claim is set by the bankruptcy court. Secured debt has a unique status in a bankruptcy case. A person who has lien to secure payment of a debt holds a secured claim. The allowed amount of a secured claim is equal to the value of the collateral. If the collateral is worth less than the balance owed, the holder has two claims: a secured claim up to the value of the collateral, and an unsecured claim for the difference between the balance owed and the value of the collateral. Domestic support that are owed to or recoverable by a spouse, former spouse, or child of the debtor, or such child&apos;s parent, legal guardian, or responsible relative. Administrative expenses allowed by the bankruptcy court, such as filing fees and mailing charges, and the fees and costs of any professionals appointed by the court. Claims incurred in an involuntary case after the petition but before the order for relief. Claims, up to $2,000.00, for wages or other employee compensation that was not paid within ninety days after the earlier of the petition date or the date the debtor ceased doing business. Claims, up to $2,000.00, for contributions to employee benefit plans arising from services rendered within 180 days before the earlier of the petition date or the date the debtor ceased doing business. Claims, up to $2,000.00, of persons engaged in grain production, or of persons engaged as United States fishermen. Penalties related to eighth priority claims to the extent that the penalty in compensation for actual pecuniary loss. Certain unsecured claims relating to banking commitments involving federal deposit insurance. The Bankruptcy Code also establishes two kinds of super priority claims which are paid before any other priority claims. The first occurs when the court allows a debtor (usually in chapter 11) to borrow money, or incur credit, by specifically granting the lender priority to all other claims. The second arises when the bankruptcy court has authorized a debtor to use, sell, or lease secured property in exchange for adequate protection to the secured creditor, and the adequate protection turns out to be inadequate. The Bankruptcy Code provides special treatment to executory contracts and unexpired leases. Basically, a trustee (or a debtor in possession) may assume or reject any unexpired lease or executory contract. The lease or contract may be assumed even if it contains the usual “insolvency” clause that automatically terminates the lease or contract in the event of bankruptcy— ipso facto bankruptcy clauses are not enforceable in a bankruptcy case. Provide adequate assurance that the contract or lease will be performed in the future. If the debtor is the lessor of real property and the lease is rejected, the lessee is entitled to remain in possession for the balance of the lease term. Generally, a trustee (or a debtor in possession) in a chapter 11 case may assume a lease at any time before confirmation of a plan. A chapter 7 trustee must, however, assume a lease or contract of residential real property within sixty days after the order for relief or it is deemed rejected. In any bankruptcy case, an executory contract or unexpired lease of non–residential real property must be assumed within sixty days after the order for relief or it is deemed rejected. If an executory contract or lease is rejected, the other party to the lease or contract has nothing more than a claim.